Manufacturer & Wholesaler of Elevator Bucket Bolts. Our product range also comprises of Pulleys, Coupling and Industrial Belts. 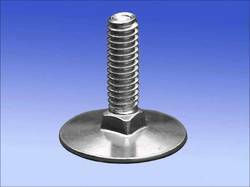 Manufactured using high grade stainless steel, these bolts are well-tested on different parameters.